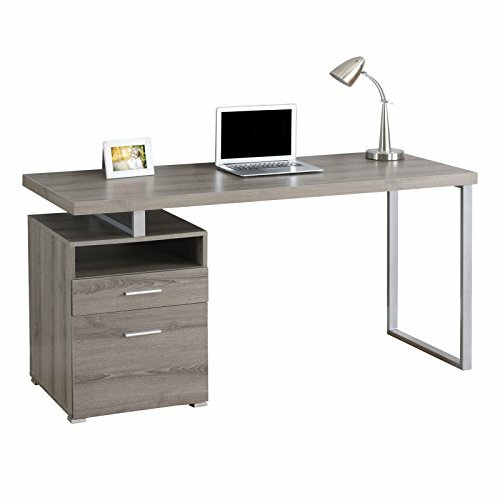 Monarch Metal Computer Desk, Dark Taupe/Silver, 60'' by Monarch at Momiji Studios. MPN: I 7145. Hurry! Limited time offer. Offer valid only while supplies last. Sleek and contemporary, this dark taupe distressed-look finished desk is the perfect combination of function, durability and design in a modern form.